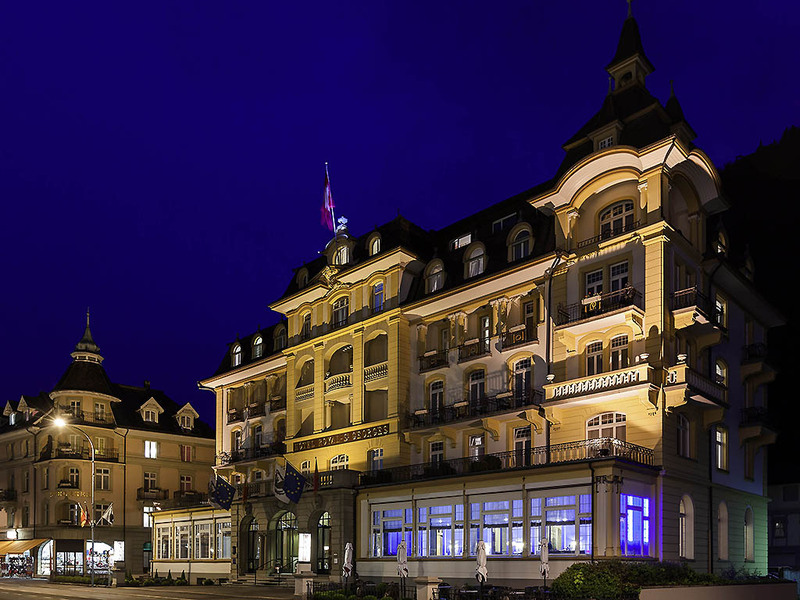 Hotel Royal St Georges MGallery by Sofitel in Interlaken is in one of Switzerland's most popular resorts between Lake Thun and Lake Brienz. Facing the panoramic alpine with Eiger, Mönch and Jungfrau, this 4-star superior hotel offers relaxation in a mixture of historical charm and modern comfort. At the Brasserie St. Georges, Ingo Hoendges pampers guests with every trick in the book. The ballroom next to the Bar-Lounge Royal can have banquets or meetings for up to 150 people. All of our hotels are in remarkable locations, whether in city centers or attractive tourist areas, offering you an unforgettable stay. The rooms and suites at our charming hotel offer guests modern comforts in a pleasant setting. Whether you enjoy classic French cuisine or Swiss specialties, we use fresh ingredients from local producers to create exquisite and healthy dishes. Our Imperial-style bar embodies the sophisticated culture of the 1920s and 1930s, making it the perfect setting to round off the day and get in the mood for the evening with an aperitif. Fine drinks and delicious non-alcoholic beverages.